The modern film industry is arguably infested with more sequels than ever before in recent years, particularly with the advent of evergrowing shared universes, which themselves are leading to the revival of many age old franchises that rank among the most treasured in cinema history. 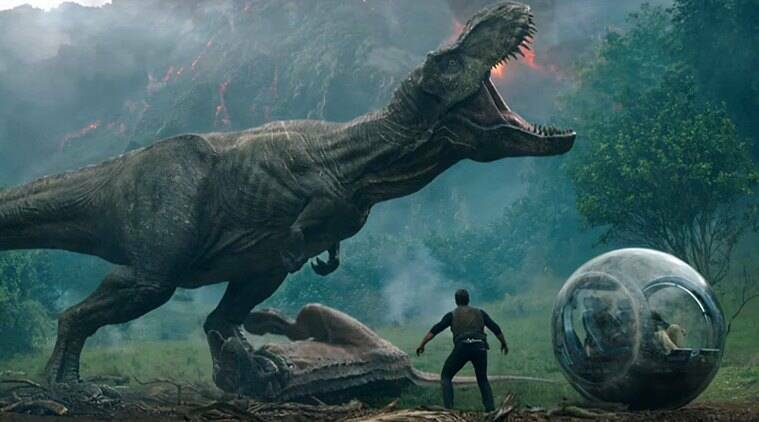 Jurassic World: Fallen Kingdom is a sequel that slots nicely into such a category - the truck sized earnings of 2015's Jurassic World made a sequel an irreversible decision from a business perspective, but while Universal's bank accounts will be looking good soon enough, it's a shame this level of positivity can't quite be applied when discussing the finished project itself. Three years after the destruction of the Jurassic World theme park, the volcanic activity within Isla Nublar begins to reemerge, placing the now freely roaming at dinosaurs at risk of extinction once more. Some won't let such tragedy unfold - dinosaur activist Claire Dearing (Bryce Dallas-Howard) and Navy veteran Owen Grady (Chris Pratt) join a team of fellow activists to rescue a number of species from Nublar before time runs out, though these actions ultimately leave them tangled in a scheme that brings to fruition another threat against them all. Fallen Kingdom's biggest setback is that which has plagued almost every other sequel to the beloved 1993 classic - a story that holds little merit and is simply more of the same. 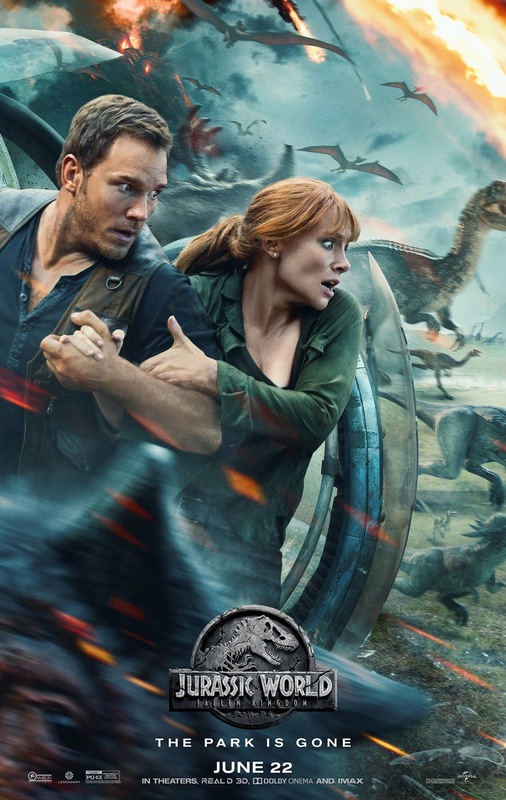 Whilst Jurassic World had it's interesting premise with John Hammond's original bizarre dream of a dinosaur infested theme park coming to fruition at last, there was little potential for a continuation outside of financial gain; Fallen Kingdom provides visual thrills and excitement within it's very best moments, but said moments are dwindling in overall variety, and outside of them we have very little to be truly absorbed in. You'll find little has been done to stir things up - the plot is another generic blend of cardboard cutout villains motivated by naught but fancy profits, seriously miffed off dinosaurs causing a ruckus and killing a number of disposable extras, and of course the iconic idiocy and greed of man as the central cause of all this unwanted chaos to begin with. Any attempted emotional depth largely feels forced and forgettable, and often quite sappy, with numerous tired clichés recycled within a script flooded with numerous contrivances. My bitter self emerges once more, but rest assured Fallen Kingdom isn't necessarily a bad film, per se; it's still entertaining for the most part, and offers a decent array of laughs and genuine thrills, once again brought to life through some stunning visual effects and well structured (if occasionally silly) action sequences, and of course all is portrayed well through a strong, well chosen cast. It's just a shame the filmmakers have made little effort to try and breathe any sort of new life into the age old series, instead settling for a flimsy narrative that recycles all these tired conventions. At this rate, it seems things have definitely run their course, hard as it is for studio executives to come to terms with.